Ulysses - strange visitor from another world, possessing powers far beyond those of mortal man - has come to the conclusion that humanity is doomed. Unable to think of any way to turn his amazing powers toward fixing the world of his birth, he has instead elected to take six million people to the Fourth Dimension, to the better world which raised him. Naturally, this is a source of great concern to Superman, who is starting to wonder if the paradise which Ulysses spoke of is truly as grand as he claims. 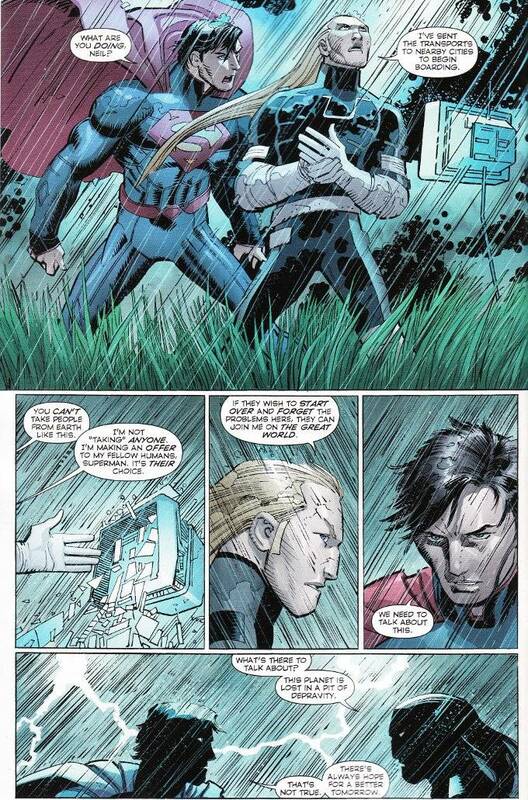 Geoff Johns understands Superman as few writers today do. His Superman is the epitome of hope and idealism, as he should be. 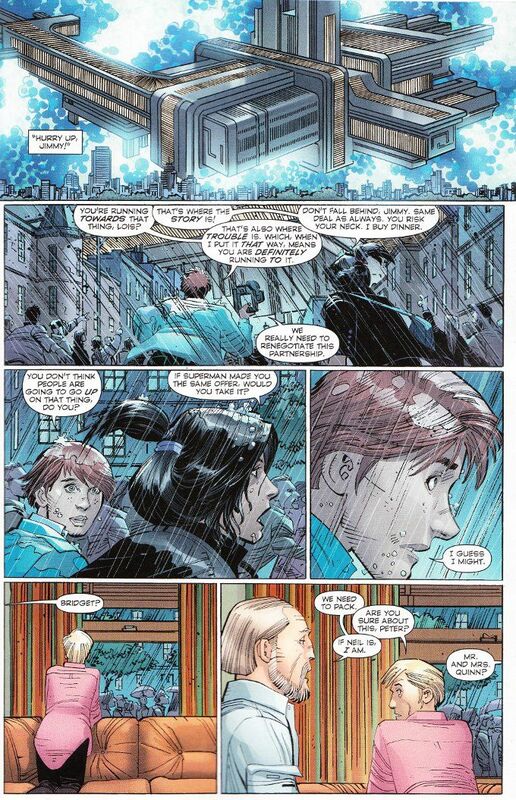 Johns also realizes the importance of Lois Lane and Jimmy Olsen to the oeuvre of Superman and does a fine job using them to explore the problems with Ulysses' promises from another perspective. What can I say about the art of this book that hasn't been said already? John Romita Jr. is in fine form here, with inker Klaus Janson giving the finished art a much lighter touch than usual, as befits the lighter and brighter aesthetic of Superman compared to other projects JRJ and Janson collaborated on in the past. This vibrant feeling is further enhanced by the colors of Laura Martin.